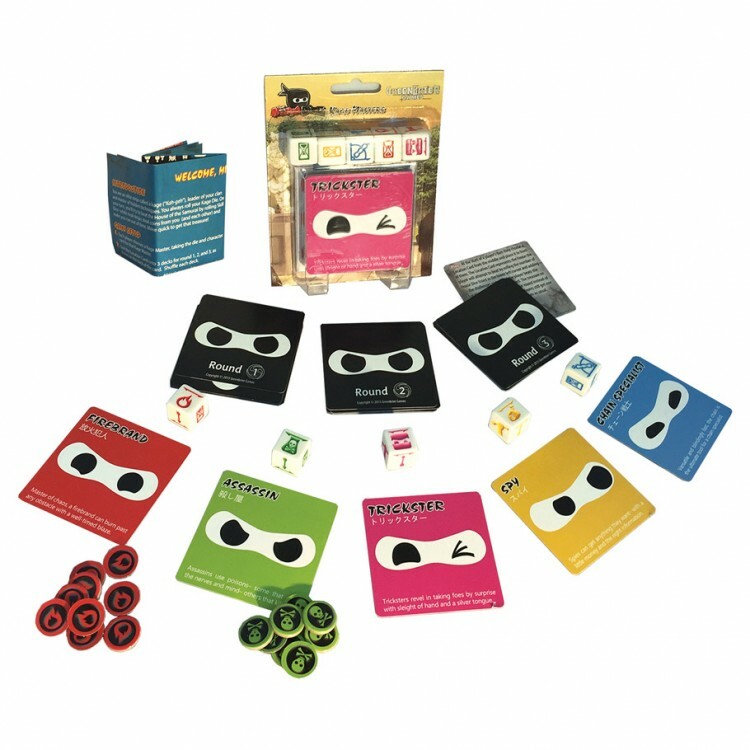 In Ninja Dice: Kage Masters, you can play Ninja Dice as one of 5 new unique characters known as kage masters! A kage is an elite ninja, the leader of his or her village, and master of the clan's hidden techniques. Each kage has their own kage die and character card, complete with special abilities unique to that kage. Teh kage dice are a seamless addition to the original game rules, yet they add many layers of engaging fun to the gameplay!